Customers faced further costs from payments made in March. Angry Woolworths customers around Australia have been left out-of-pocket on Monday after being charged duplicate transactions following a "processing error" that copied payments made in stores in March. The data centre payment error generated by Woolworths' contracted payment processor company Cuscal saw extra money taken from the accounts of shoppers around the country, who then vented their frustrations on the Facebook page of the national supermarket giant. In a statement provided to HuffPost Australia on Monday, Woolworths apologised for the incident and said all payment errors will be corrected and their customers will not be affected by any further, incorrect charges. 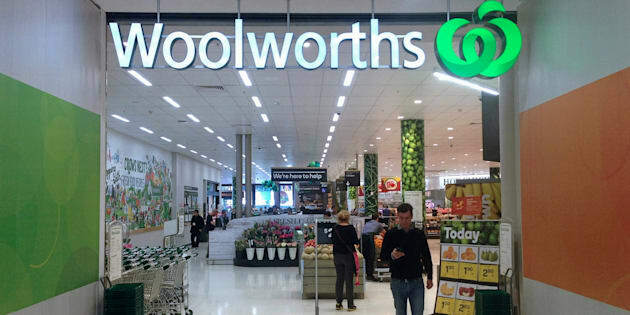 "We have received confirmation from Cuscal, a payment processor servicing financial institutions, that due to a processing error at their data centre a limited number of Woolworths customers may have received incorrect transactions on accounts processed by Cuscal," the statement said. "Cuscal have confirmed they will rectify any payment errors as soon as possible and they have also confirmed that no impacted customer will incur incorrect charges related to the incident. "If customers have further concerns around their own personal financial circumstances, Cuscal encourages them to contact their local financial provider directly. We apologise for the inconvenience this has caused customers." In response to the uproar, a spokesperson for Cuscal also told HuffPost Australia the company is "working urgently to correct the errors" and expect the incorrect charges to be rectified by Tuesday. "Due to a Cuscal processing error last night some incorrect transactions were posted to our clients' customers' accounts this morning," the spokesperson said in a statement. "We apologise for the stress and inconvenience this is causing people. We are working urgently to correct the errors and anticipate all transactions will be corrected by tomorrow. "No customers will be out of pocket due to incorrect charges or transactions arising directly from this incident -- we will work with our clients to make sure this happens. People should wait for the charges to be reversed or talk to their financial institution with any immediate financial problems."